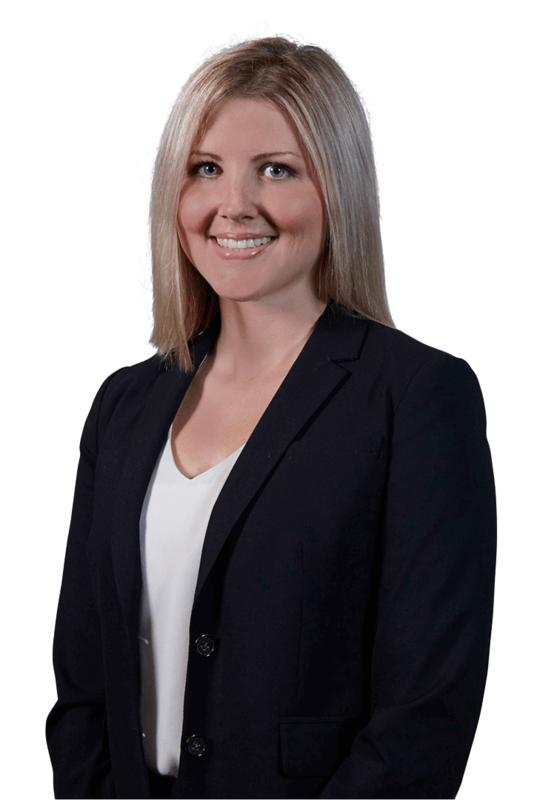 Andrea Tratnik is an associate in the firm’s Trusts and Estates Group and Corporate Group. Her practice focuses on estate and trust planning and administration. She is also involved in a variety of corporate transactions. Andrea acts for domestic and international clients, namely mid-market privately-held companies, small businesses, and a wide range of individuals, including testators, beneficiaries, executors, trustees, attorneys for property and personal care, high net worth individuals, and owner-managers. establishing and advising privately-held companies, including for-profit, not-for-profit and charities. Andrea has written several articles on taxation, trusts, and estates law for Canadian and international publications. Andrea has been a supervising lawyer for the Wills Project with Pro Bono Students Canada since 2017. Andrea summered and articled with Beard Winter LLP, and returned to the firm as a lawyer following her call to the bar in June 2012. She has sat on the firm’s Articling Committee since 2013. Andrea has studied and worked in South Korea, England, and British Columbia. "Family Offices: The Society of Trusts and Estates Practitioners Handbook for Advisors, Second Edition”, STEP and Globe Law and Business, contributing author, forthcoming 2019. “International Trust Laws”, Jordan Publishing, Updated Chapter on Canada (update 91), co-author with John O’Sullivan, Lucinda Main, Pia Hundal and Lori Isaj, March 2019. Andrea Tratnik and colleagues hosted a panel discussion among small and medium-sized enterprises at the Toronto Region Board of Trade’s 12th Annual Small Business Summit. The discussion centred around various legal considerations in starting up and expanding business operations. “Recent changes to Canadian immigration, tax, real estate and trust law and their potential adverse consequences on attracting high net worth foreigners and foreign investment to Canada” | co-authored with Lucinda Main | Journal of International Tax, Trust and Corporate Planning, vol. 24, issue 3, 2017. “Powers of Attorney in Ontario: What Advisors Can Do To Help Protect Their Clients’ Interests” (Presentation) | IDC WorldSource Insurance Network Conference | Sep 29, 2016 Andrea Tratnik and Victoria E. Winter presented to an audience of financial advisors, insurance brokers and other professionals at a conference held by the IDC WorldSource Insurance Network on September 29, 2016. The presentation focussed on advantages, risks and other considerations relating to powers of attorney for property in Ontario. “Discretionary Trust Essentials” | co-authored with John O’Sullivan | Ontario Bar Association | April 5, 2016 A discussion of the evolving trust law and family law principles relating to the valuation of discretionary trust interests and disclosure obligations of trustees. This paper was presented at the 2016 OBA conference “Kissing Cousins: Where Family Law, and Trusts and Estates Law Meet” held on April 5, 2016 in Toronto. “International Trust Laws”, Jordan Publishing, Chapter on Canada, co-author with John O’Sullivan, Pia Hundal and Lucinda Main, January 2015. A Recap of the New Restrictive Covenant Rules | Ontario Bar Association | April 2014 A discussion of the restrictive covenant tax rules implemented in 2013 under section 56.4 of the Income Tax Act. Tax on Trust Distributions to Non-Residents: An Introduction | Ontario Bar Association | January 2014 An outline of the taxation on distributions from a Canadian resident trust to non-resident beneficiaries, with an emphasis on Part XIII withholding tax. A Canadian Super Visa: What is it? | co-authored with Richard I.R. Winter, Q.C. | Offshore Investment Magazine | June 2013 An overview of the interplay between Canadian tax law and Canadian immigration law with respect to the Super Visa programme. Punitive Damages and More: The Consequences of Estate Trustees’ Egregious Conduct | Ontario Bar Association | April 2013 A case brief and discussion of the legal consequences of a trustee’s breach of fiduciary duty, failure to account, breach of court orders, and mismanagement of an estate. Case comment: Leclair v Canada, 2011 TCC 323: Failed Inter Vivos Gifts Not Caught Under Section 160 of the Income Tax Act | Ontario Bar Association | December 2011 A case brief and discussion of tax consequences in the context of gifting.